The Montana state budget is how “we the people of Montana” identify, prioritize, and fund the public structures and services that help create our safety, prosperity, and stability. Unfortunately, Montana, like virtually every other state in the country, is feeling the effects of the recession. As individual and corporate incomes have fallen, we have seen a record-breaking decline in our state’s revenues. Funding for schools, roads, parks, libraries, law enforcement, prescription assistance for low-income seniors, fire protection, regulatory systems, child care assistance for working families, and numerous other public structures and services are at stake. 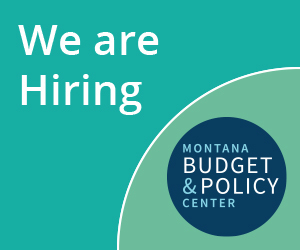 This report is designed to inform advocates and policymakers alike about the current revenue crisis, why it matters, and how policymakers can meet the crisis with a balanced approach that builds a brighter future for the next generation of Montanans.